Wolfrace has quickly become the number one alloy wheel brand for commercial alloy wheels. Always at the forefront of manufacturing and quality control standards, currently Wolfrace is the only UK based aftermarket alloy wheel brand able to offer a 5 year warranty on some of our standard finish alloy wheels. 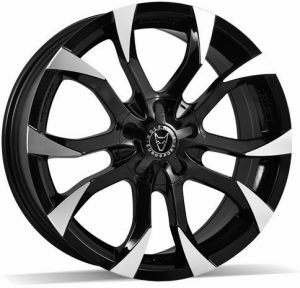 Wolfrace boast the largest range of T5 alloy wheels in the UK along with a widespread selection of van-rated alloy wheels for popular makes and models on the market.